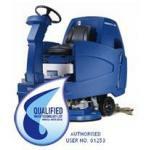 The SCRUBTEC R 5 range is extremely compact and stable, ideal for all scrubbing tasks. 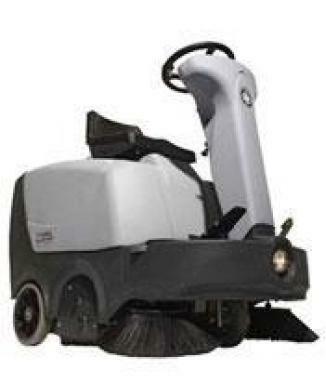 It can be configured with different brushes, pads and other options so it fits exactly the customer needs. 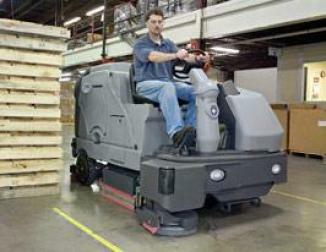 With their high speed scrubbing and close edge cleaning, secondary operations are eliminated. 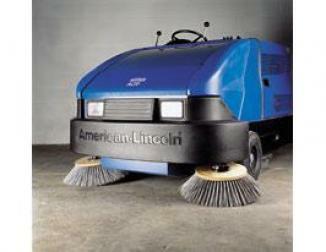 The machines provide you the best traction in double scrubbing and ramp cleaning. And the provide safety, not only for the operator, but also for the people walking where the machines have cleaned, because they leave floor dry to reduce slip and fall hazards. 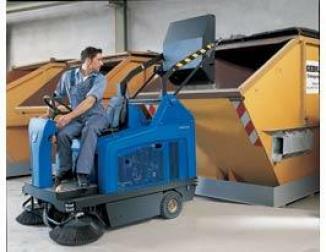 The new SCRUBTEC Rider are available in versions equipped with an I-Drive control, the first and only scrubber dryer in the world with joy stick control. The I-drive controls not only the power steering but also one touch scrubbing (with memory function), horn and speed. The SCRUBTEC rider is the ideal solution for retail stores, municipality distribution centres, warehouses, hospitals & health care facilities, supermarkets, car dealers, schools, restaurant & cafeterias, administration & state buildings, food industry, industrial facilities etc. * Long life gives low maintenance costs.